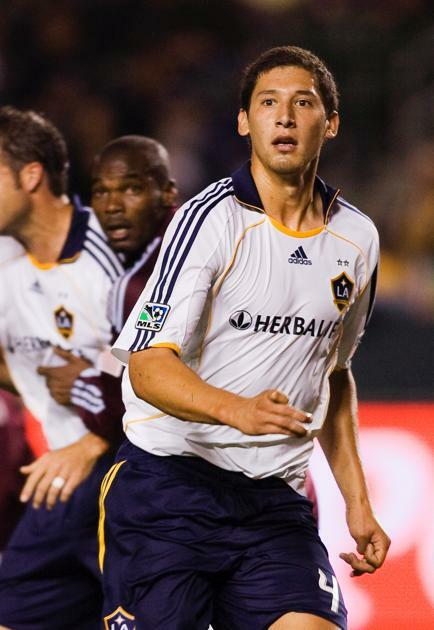 After finally receiving a call up to the US Men's National Team, Omar Gonzalez has backed out of camp in order to go on loan. The LA Galaxy defender is headed to Germany to play for FC Nurnberg until mid-February. The 2011 MLS Defender of the Year will be joining the team at their training camp in Belek, Turkey. The loan raises a several questions though about priorities and the national team. First off, after being ignored by Jurgen Klinsmann for so long he gets called up to his first camp. Then immediately departs to go on loan. That may raise eyebrows for some, but I think it's less an issue than it might seem. Gonzalez has lots of eyes on him at the Galaxy and it is likely Klinsmann is well aware of what he's capable of. Further more, the loan spell in Germany will expose the Galaxy stalwart to a new style of play, something he likely would be getting in a January camp full of MLS players. Consider also that if Omar is willing to leave the January camp, we can easily infer that his ultimate goal is to play in Europe. Not a big revelation, but his actions are telling. Another American is leaving camp as George John is headed...somewhere. After a failed move to the Premier League last season, it seems John cannot wait to leave Dallas again. For John to leave the national team, like Gonzalez, is telling. In John's case, it seems more likely he's unhappy with his situation in Dallas as opposed to simply wanting Europe. Also different than the Gonzalez movement, it looks as though this is more than a loan. John may be up for a full transfer. Easily an upgrade over Dallas if rumors of the EPL are true. Lastly Tim Howard, made headlines and was trending on twitter for nearly 24 hours with his absolute bomb of a goal for Everton. With a bit of help from the wind, Howard cracked a ball from his goal, all the way into his opponents. His lack of reaction was most enjoyable. Check out the video. I didn't even realize that Omar was leaving the NT camp to go on loan. Interesting, not really sure how to take it. I want him on the NT, but not at the expense of his club career. I really like the George John to West Ham move. He'll be able to challenge for playing time (especially if they lose Tomkins) on a side that's destined for a return to top-flight football next season. I'm a fan of Big Sam Allardyce as well, a guy who knows a little something about playing central defense. It's only on loan for now but hopefully he plays well enough that West Ham will want to make the move permanent. Great career move for John. I've read your post "Loans, Moves and a Goal from 100 Yards". Also thanks for sharing the video!